It’s almost Christmas and I haven’t written since November. I’ve been so busy with work and getting my students ready for their holiday concert that there hasn’t been time, but I promise to make it up to you. I have some vegalicious recipes coming, including this one and have a few interviews lined up with some great people – so please check back! 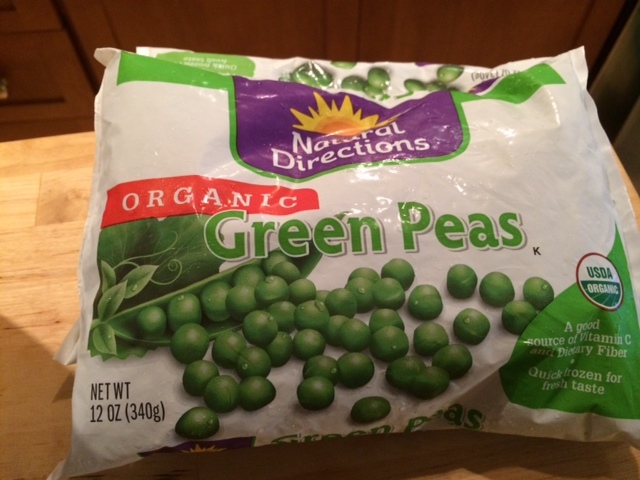 This first one is my friend Pete’s Pea Salad recipe. It’s seriously easy peasy to make! We are attending a Danish holiday party together and this is one of the dishes that we are bringing. Here’s a look at the finished product first. 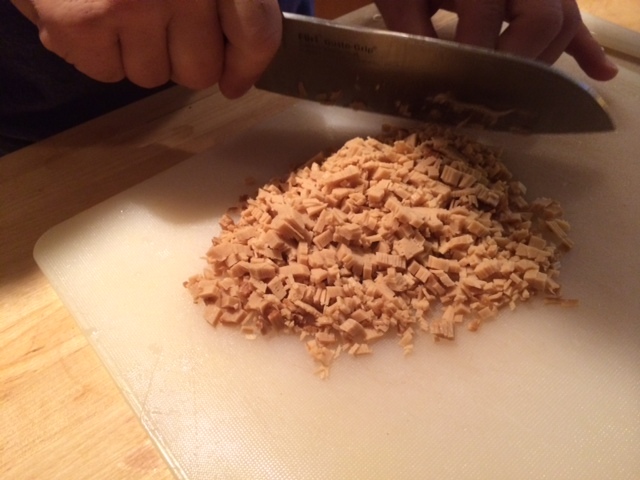 First chop the sweet onion, then dice the water chestnuts and add seasoning. Thaw two bags of Organic Sweet peas. First let them sit out for a while. Then put the bags in warm water and finally rinse under warm water in a strainer. 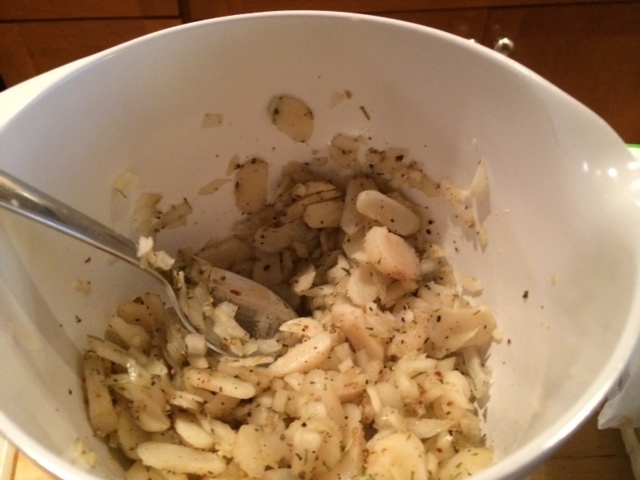 Add Veganaise to the mixture of onions & water chestnuts and add to the peas, which you will need a larger bowl for! 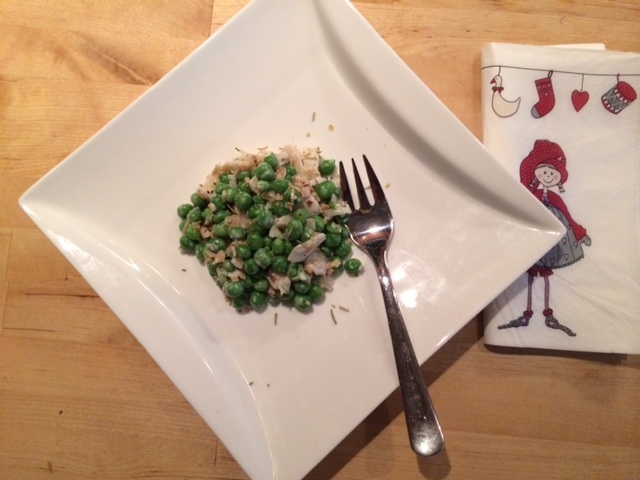 While the peas were thawing, cut up the “meat” into crumbles and then let it brown slightly in a small pan. 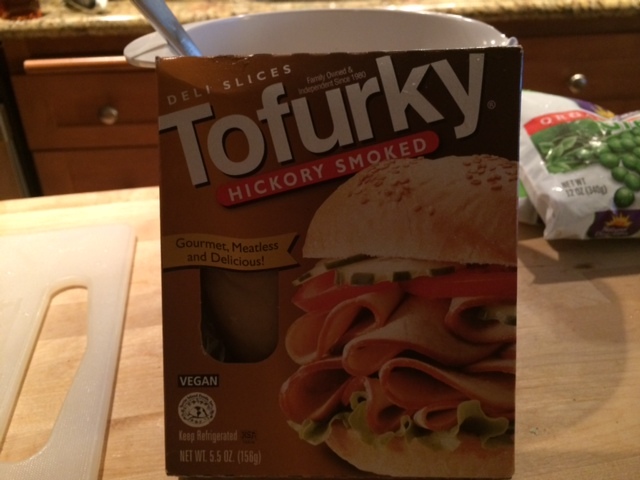 We couldn’t find Vegan Bacon, so we used Tofurky’s Hickory Smoked Deli Slices instead. Just so you know that you’ve got options! 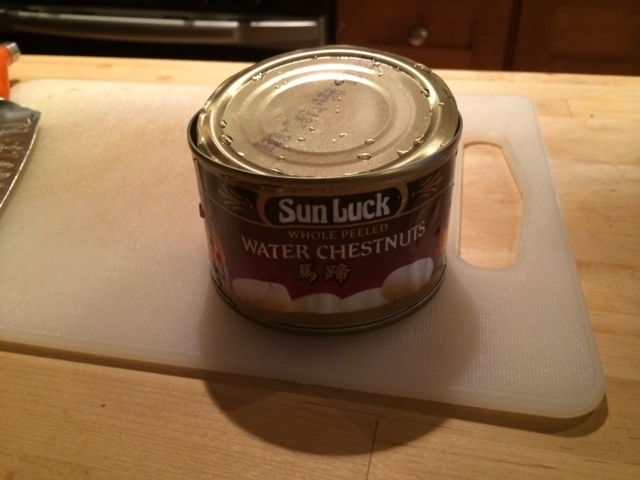 Final note: Mix the ingredients well, add Veganaise if you feel it needs extra. Refrigerate before consuming for at least an hour. Then mix together before serving! I am looking forward to tasting that tonight. I am about to make a Mexican wedding cookies recipe from Roberto Martin’s “Vegan Cooking for Carnivores”. See you soon. That sounds great! YUM! We’re also bringing Pete’s Shepherd pie. Omg, swoon! This guy can cook vegan comfort food like nobody’s business. See you this evening!